Chae Kwon Chong, 85, of Eatontown, passed away on November 27, 2018 at Jersey Shore Medical Center. Mr. Chong was born in South Korea to Sangyul and Jumyi Chong, one of eight children. In 1958, he married Hwan Choi, his wife of 60 years. While in the Korean Airforce, he enjoyed and was proud of attending school in Colorado Springs. He immigrated to the United States in 1975 with his family and retired from Bendix Corporation after many years in quality control. A faithful man, he was a dedicated member and steward deacon for many years at Monmouth Grace Methodist Church in Eatontown. 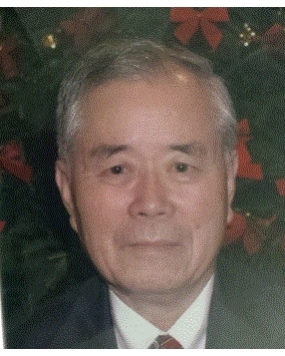 He is survived by his wife, Hwan, his daughter, Chu Chong and her husband Jongki Ahn and grandson, James Ahn. Family and friends may visit Saturday, December 1st from 5pm to 6pm at the Monmouth Grace United Methodist Church, 76 Wyckoff Road, Eatontown. A Funeral Service will commence at 6pm.